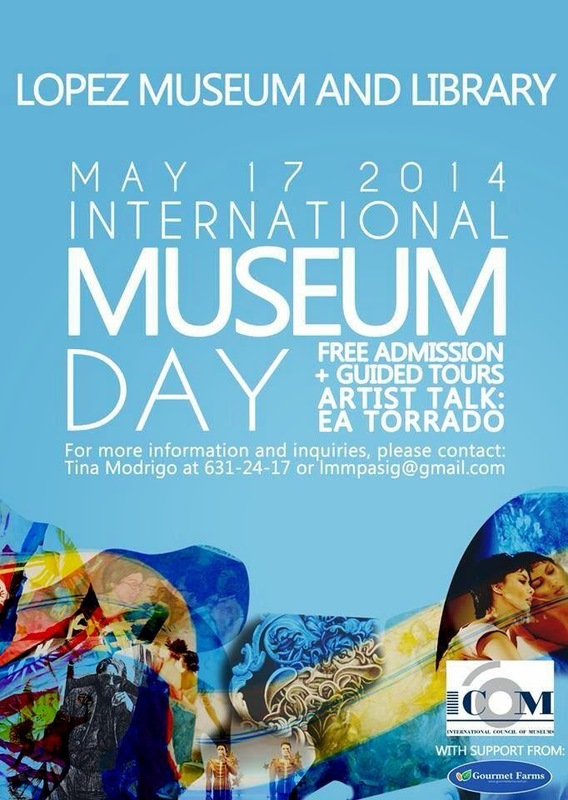 Free Admission on International Museum Day / Ea Torrado Artist Talk (2pm) on May 17, 2014. In celebration of the International Museum Day 2014, registration to the Artist Talk and admission to the museum throughout the day will be FREE. Guided tours will be available every hour on the hour starting 9 am to 4 pm. Ea Torrado will discuss her work in "Sisa," a video installation based on the frantic search of Jose Rizal’s Sisa and reflections on the museum’s iconic Juan Luna painting—"España y Filipinas." She will also discuss her processes, choice of materials, subject matter, and the challenges and possibilities of art as engagement. Please call Tina at (632) 6312417 for more details. 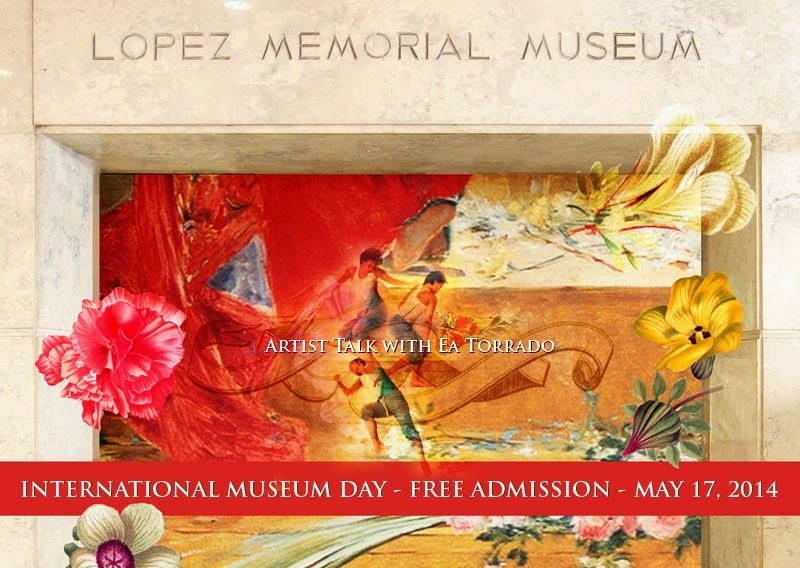 The Lopez Museum and Library is at the ground floor, Benpres Building, Exchange Road corner Meralco Avenue, Pasig City. Museum days and hours are Mondays-Saturdays, 8 am to 5 pm, except holidays.